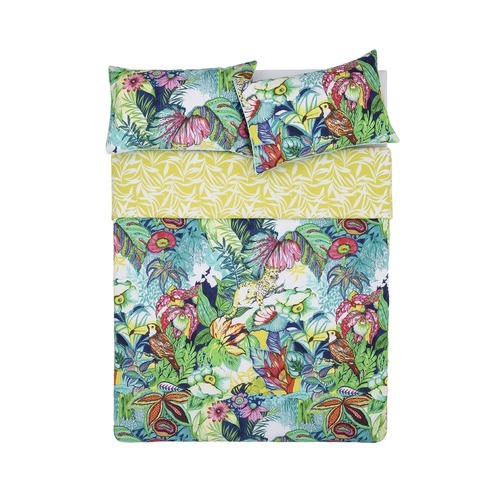 Bring the vivid colours and lush foliage of the tropics into your bedroom to create your own slice of paradise. 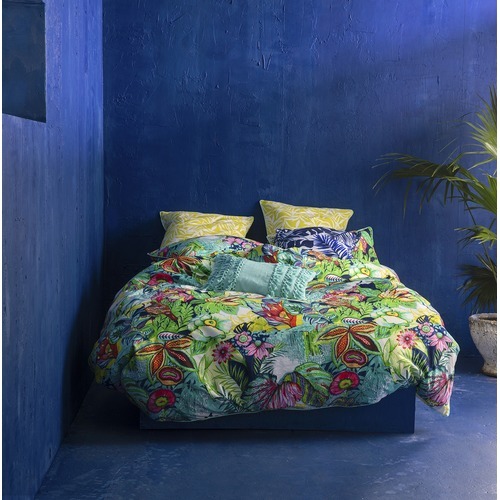 Featuring a hand painted design printed on silky cotton sateen, the radiant hide-and-seek print of the Chetna quilt cover is rendered in jewel greens, teals and pops of citrus. Bordered with contrast piping, the reverse reveals a retro palm print in zesty chartreuse. The Chetna Cotton Quilt Cover Set is a Contemporary style product. Contemporary style bridges the gap between traditional and modern. Pieces feature simple and clean lines with smooth surfaces without any carving or adornment. 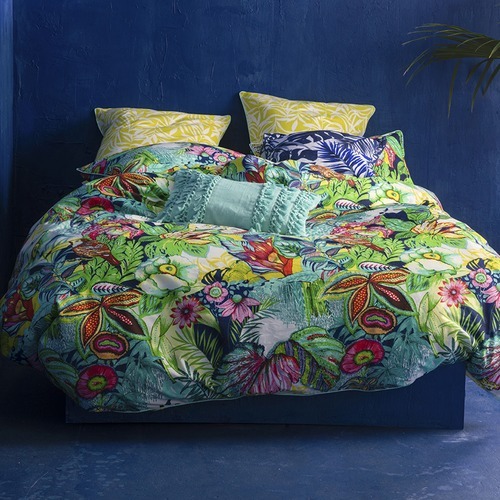 You can shop for more Contemporary Quilt Covers in the Bed & Bath section of our site. When you buy a Chetna Cotton Quilt Cover Set online from Temple & Webster in Australia, we make it as easy as possible for you to find out when your product will be delivered to your home in Melbourne, Sydney or any major city. You can check on a delivery estimate for the Kas Part #: 9313760489079 / 9313760489086 / 9313760489093 here. If you have any questions about your purchase or any other Quilt Covers product for sale our customer service representatives are available to help.Whether you just want to buy a Chetna Cotton Quilt Cover Set or shop for your entire home, Temple & Webster has a zillion things home. Very cheerful furnishing fabric. Love it on the bed. Makes me smile when I see it. This quilt cover looks beautiful in my daughter’s room, just brightens it up! I actually also have my bed against a blue wall and the quilt cover looks fantastic.